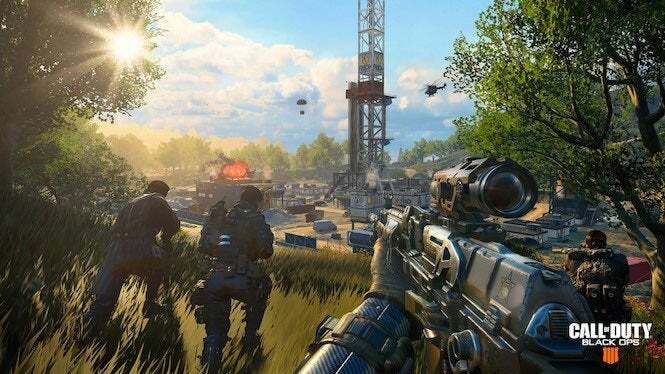 Call of Duty: Black Ops 4 players have noticed Blackout’s many windows still aren’t breaking as they should when players shoot at or through them, but Treyarch said it plans on looking into the problem. Windows in Blackout have dual purposes by adding to the realism of the map while also slightly obscuring players from view when they’re inside a building. They can also work to an outside player’s advantage since they make a loud noise when they’re broken whether they’re shattered with a melee attack, bullets, a thrown item, or simply being climbed through. One would expect that bullets would be a guaranteed way to break a window and eliminate an enemy who’s on the others side of it seeing how glass wouldn’t do much to stand in the bullet’s path, but Blackout players have been noticing for a long time that windows are more problematic than they look. Some players have reported that the windows eat up the bullets instead of letting them pass through unaffected which means that a thin window is keeping a player from shooting someone on the others side of it. Others have refuted those claims and said windows don’t pose a problem to them, but the clip above from a Black Ops 4 player who shared it to YouTube and Reddit to bring awareness to the issue. Explaining the process on YouTube, the player said they tested the situation in a custom game and believes the windows will eat most weapons’ bullets. The video doesn't prove that this happens with every window, but it does show that there's a problem worth looking into. There’s also a theory that it happens when a player is close to the window, but whatever the problem is, Treyarch said it plans on looking into it. Treyarch’s senior game designer Matt Scronce commented on the Reddit post to say previous work had been done to address the issue but that more investigations will take place soon. Call of Duty: Black Ops 4’s Blackout mode is currently running a free trial promotion so that people can test the battle royale mode out themselves. A new limited-time mode is also in effect that lets players respawn for the first time.